With a view to promote cultural backgrounds and the beauty of traditional wear, Wow Celebration is about to host the Azhagiya TamilMagal event. The fashion event is all about traditional wear and women will be awarded in different age groups, ranging from 9 to 15 years, 15 to 25 years, 25 to 35 years and everyone above 35 years. The multiple categories will encourage many to participate. 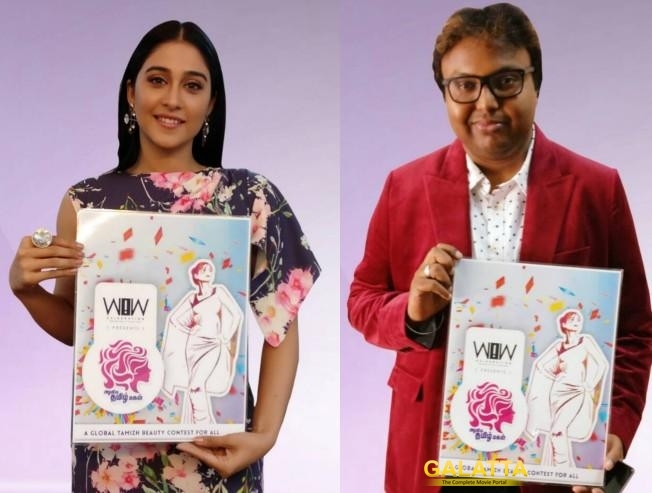 Promoting the event and the idea behind it is music director D. Imman, actress Regina Cassandra, director Bhagyaraj and ABC Clinic head Madhusaran. They unveiled the logo for the event today and posed for the cameras.